Being a customer oriented organization in the engineering industry, we are offering Computer Routers. This router is designed under the supervision of trained professionals with the aid of high-tech machines. Our offered router is suitable to be installed in various cell phones and modems so that they function according to the modern requirements. 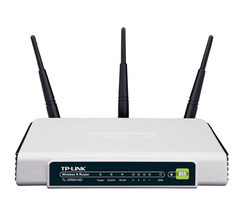 This range of router is made in compliance with 802.11b/g standard and provided with 100mV transmission power. Looking for Computer Routers ?